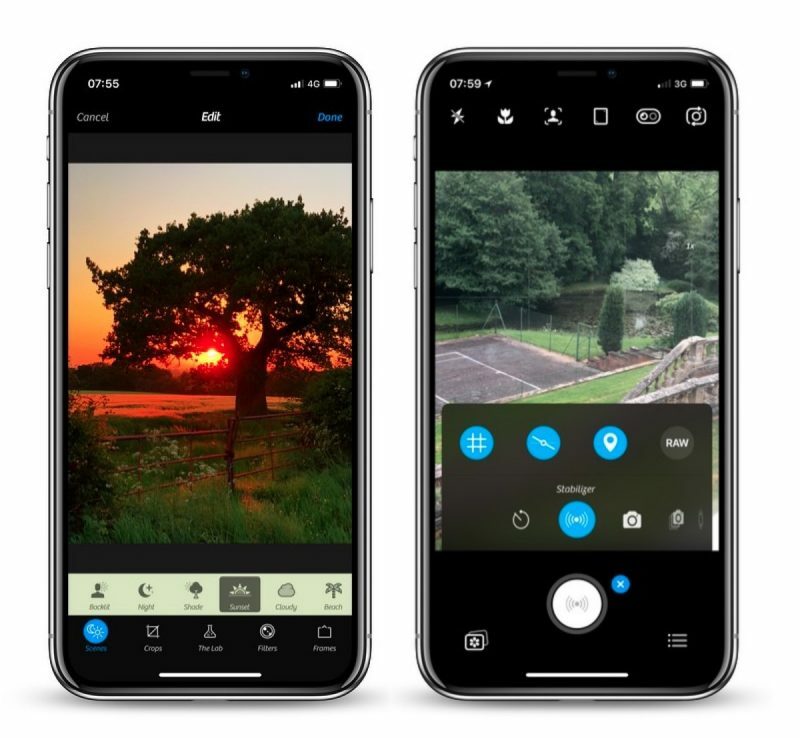 Camera+ 2 was released for iPhone and iPad today, a complete rewrite of the popular photography app of the same name that appeared almost eight years ago and sold over 14 million copies in that time. The successor app features a completely redesigned interface for accessing manual controls, raw shooting and editing, depth capture, and more. As a universal app, Camera+ 2 promises a consistent experience across iPhone and iPad, with multitasking support for the latter baked in. Unlike its predecessor, the app also comes with all features, one-touch filters, and tools included as-is – no in-app purchases required. In shooting modes, the manual onscreen wheels and controls include traditional settings like shutter speed, ISO, White Balance, and Macro, with wide-angle and telephoto options available on dual-lens devices. These functions can also be hidden during casual shooting. With depth capture enabled in Camera+ 2, the depth information is saved alongside the image, and the adjustments in The Lab section of the editor can be selectively applied to distant or close subjects. A collection of filters are also available, with options to adjust their strength and layer them to customize the aesthetic. A new Smile mode enables Camera+ 2 to detect smiles and shoot automatically, while a Stabilizer mode shoots only when the iPhone is steady enough to produce a sharp picture. The Slow Shutter mode meanwhile brings the ability to take long exposures, even in daylight, with additional Burst and Timer modes also included. 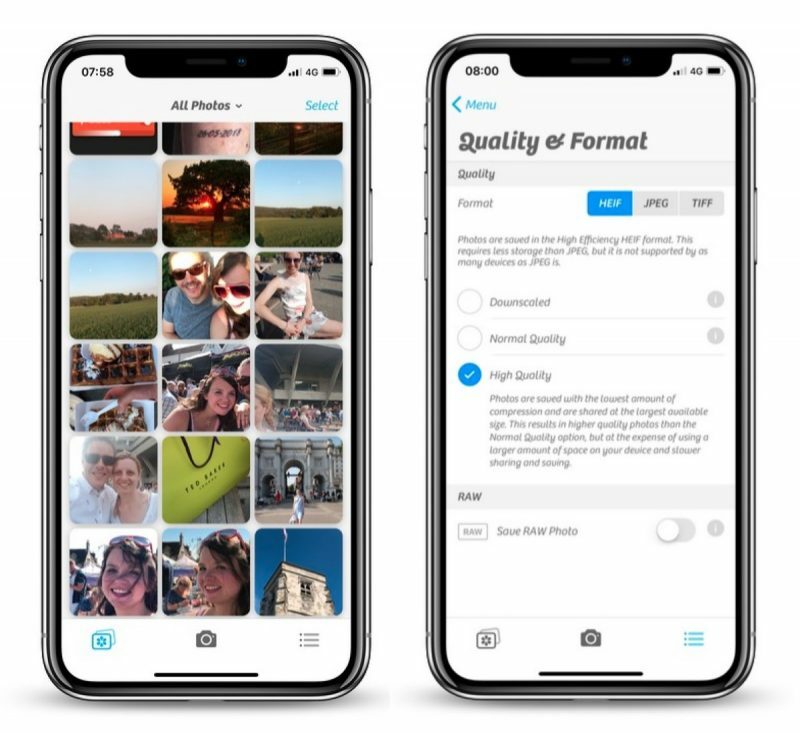 Elsewhere, in a much-requested change, Camera+ now has full Photo Library integration with editing support, with the added ability to switch between the Photo Library and the Lightbox with the tap of a button. Drag and drop gestures on the iPad are supported for copying or sharing photos, while Files and iTunes integration are also available for transferring pictures to a computer or other apps. Really what I miss most from traditional cameras is the option to have the date and time stamp automatically applied to images in the proper bottom corner location. Without having to manually add it later. That’s the feature I want. Otherwise, the built in camera seems adequate for me. You mean like water mark, why you want to do this unless for print? Image file contains metadata already. Do you add label with GPS coordinates and time zone as well? Is this new app related to the original Camera+ app? This not just upgrade for Camera+ app. and looks like they formed a new company with a similar name to that of the original Camera+: both sellers are different but have LateNiteSoft in the name. Mom, what did I tell you about posting on the internet? There are circumstances where having the time and date on the photo is important to people. For instance I had a job where I did property inspections. It was important to have the time and date on the photos. Also for insurance purposes documenting belongings or accident damage. There are definitely instances where having it on the photo is important. For general photos, I agree. I don't want the time and date on those. I bought Camera+ 2 just because I have the first since forever and I loved it and they constantly updated the app. 8 years of support by a developer is something very rare these days. That being said, the new app is a bit buggy on the portrait mode for me (iPhone 8+, tested in iOS 11.3.1 and now on 11.4) and it's jittery/janky/laggy, hope they fix it soon. Halide? Obscura 2? Camera+ 2? Which one am I supposed to know is best for me?! Only way to find out is to use them all. For documentation purposes. I cannot legally edit a photo that is taken for documentation purposes. As soon as I alter the image manually, it loses all value. And metadata is useless legally. For other purposes, it is also nicer to look at a photo and have that date and time in the image for easy reference. I don’t have to go and find the original and look at metadata. And so many actions alter metadata as well. To me, the most wanted feature is the ability to take photos at lower resolution. Sometimes there's no need to take photos at full resolution for receipts, etc. Camera+ (and this Camera+ 2) can do exactly that. To the best of my knowledge ProCam 5 is another camera app that enables the user to manually control the camera settings though I'm not sure if date stamps are available. Camera+ is the must-have app and it was the most well-spent HKD $8. I guess I bought it since the iPhone 4 (2010). He's pretty much right. I love Halide's GUI, haven't used Obscura 2, and just got Camera+ 2 for nostalgia's sake. It all depends on what you want. The two camera apps on my main homescreen are Camera.app and Pro HDR X, if for no reason other than I still can't reliably denoise RAW files (and that's what I have Halide for, shooting RAW) on my phone. There's no "one touch" denoise app that I know of. I sometimes need this as well, found a camera app a while a go called Procamera, it's by Cocologics. It adds Date, Time and Timezone. I will upload a file of mine so you can look how it works. Also it is a really good camera app.